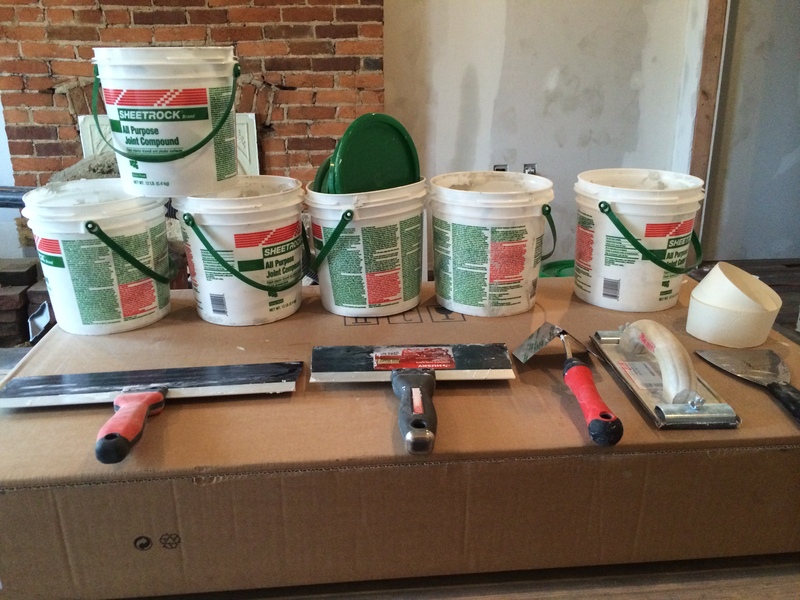 We’re going through buckets of Sheetrock compound faster than you can blink! 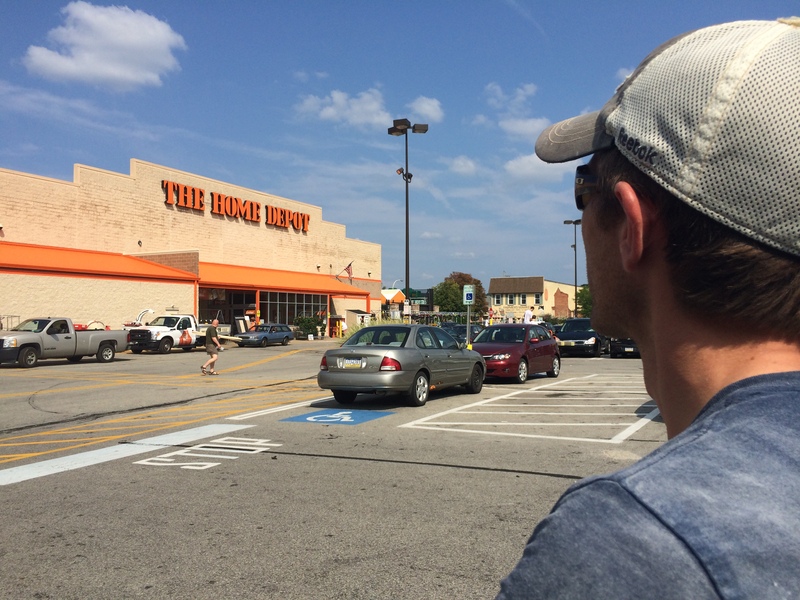 We knew there had to be a bigger bucket we could buy, so we went to our home away from home…the East Liberty Home Depot. It weighs like 500 pounds!! Even my husband, the freakishly strong man he is, had a hard time picking it up. 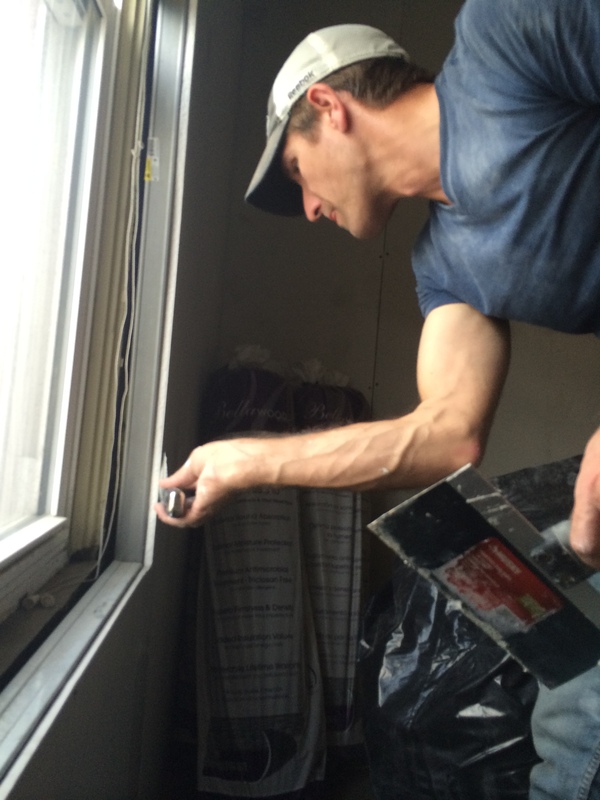 We got it back to the house and finished mudding and taping the drywall joints and seams in our bedroom. Thanks for reading, Terry! I’m so glad you like the blog. 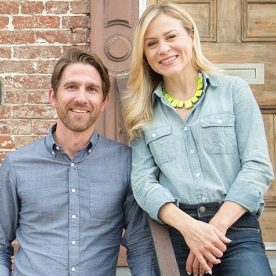 We love the charm of our old rowhouse…but you’re totally right, I’m afraid we’ll never be done! 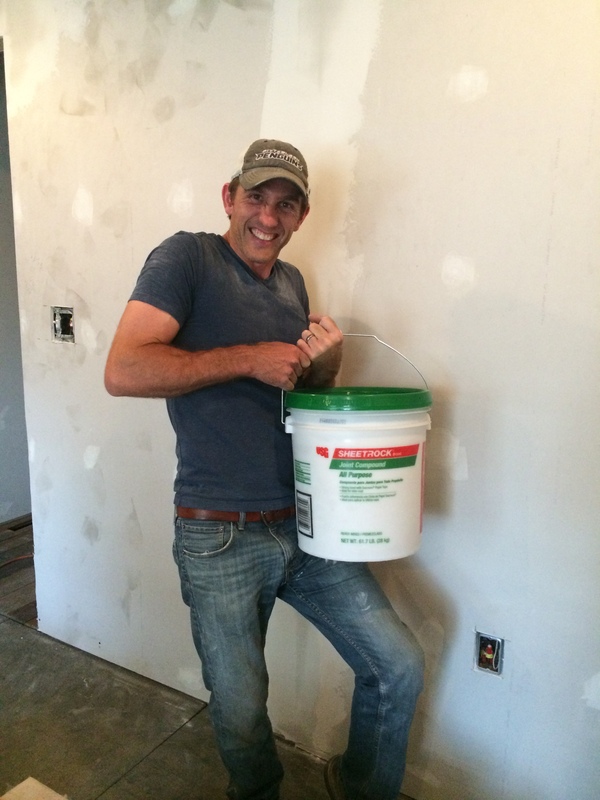 Finishing drywall is a real chore! A little tip, use a drill operated mixer on your compound. Will make it ‘creamier’ and easier to smooth out. Thanks for the tip, Terry! One more tip if you don’t mind. 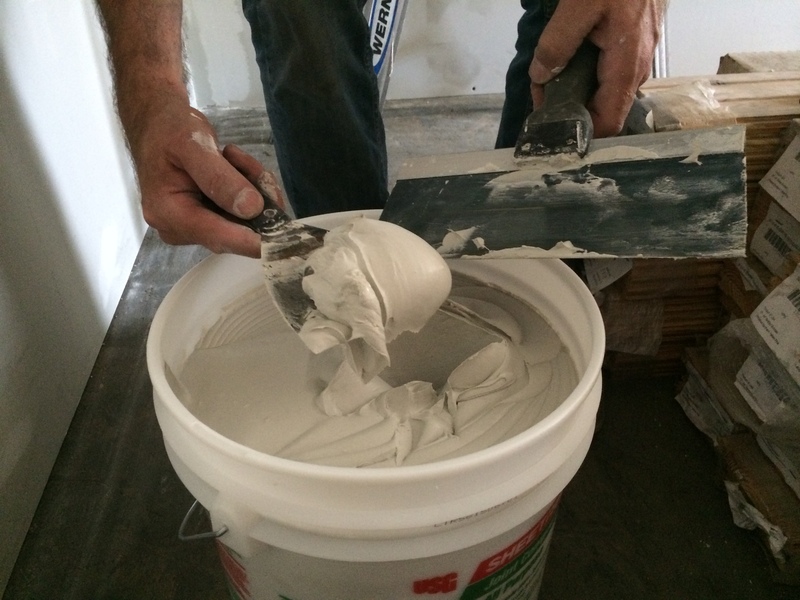 Pick up a plastic ‘mud pan’ to put your compound in. You can scoop the compound out of it and scrape your knife off the edge.